It’s less than 1 week to Christmas! How’s your preparations for Christmas, are you in a festive mood yet with all the malls and streets decked in Christmas baubles? 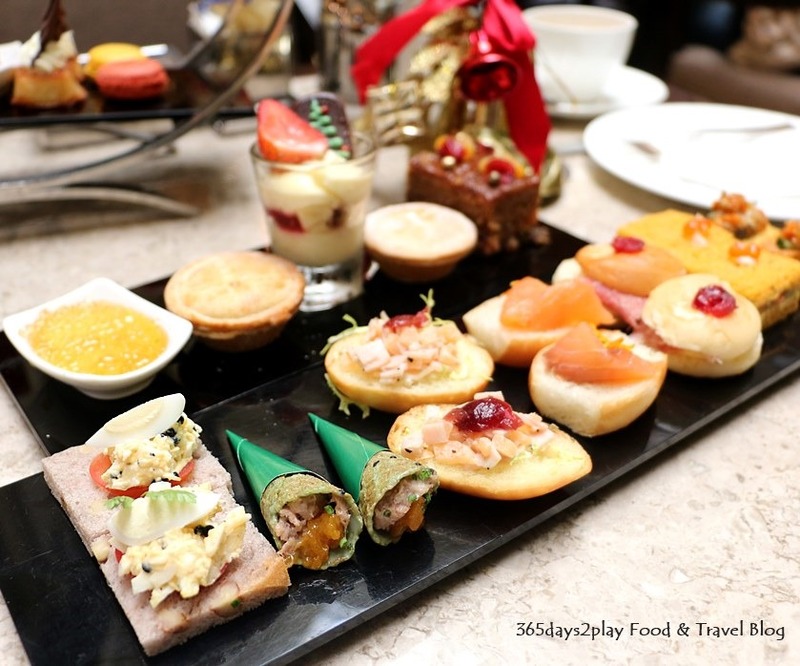 Last week, the Partner and I went to check out Fullerton Hotel’s Festive Afternoon tea and boy was the hotel ready for Christmas or what. 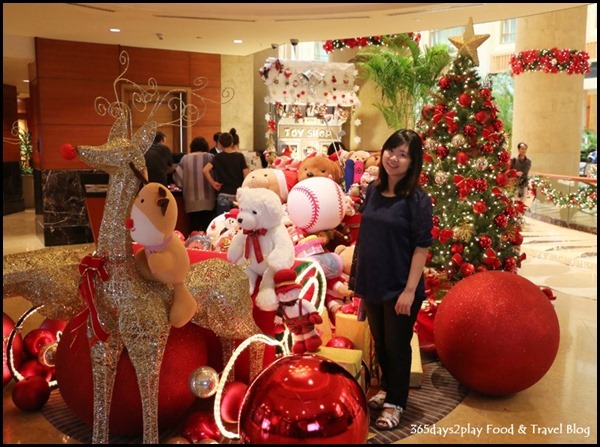 A huge Christmas tree and sleight spilling with presents and teddy bears had been placed right at the entrance. And every conceivable pillar had been plastered with red and green hued plants and Christmas Lights. A bubble machine was blowing bubbles from the second floor so it kinda felt like stepping into a winter wonderland with falling bubbles pretending to be snowflakes. 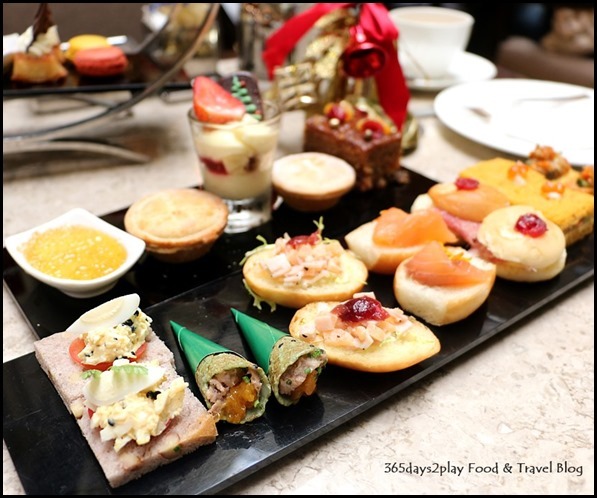 Anyway we didn’t waste too much time with the Christmas decorations because we wanted to zoom straight for the food! 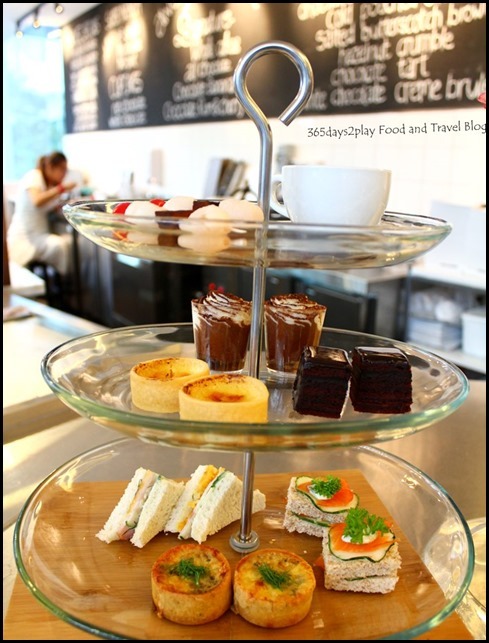 Check out this 3 tier of afternoon delights, it’s a feast for the eyes! And you know what, the best part is that you can have your favourites topped up as many times as you like! 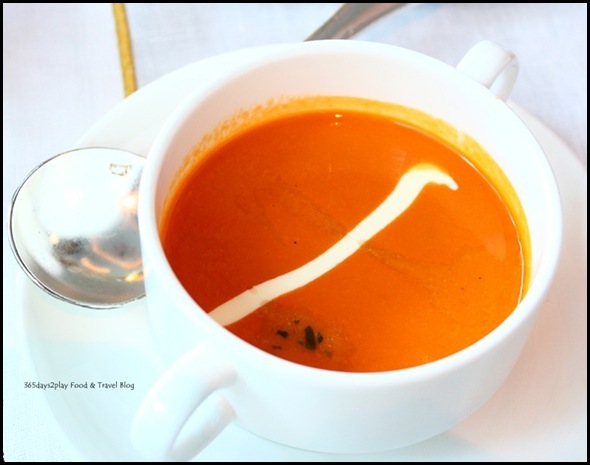 Hyde and Co : Cup of tea for you, Madame? Stumbled upon this newish cafe Hyde and Co at North Bridge Road (opposite Kampong Glam) and instantly loved the place. I like the contemporary and stylish decor which reminds me of cosmopolitan cities like London and New York, none of the retro stuff anymore if you please. 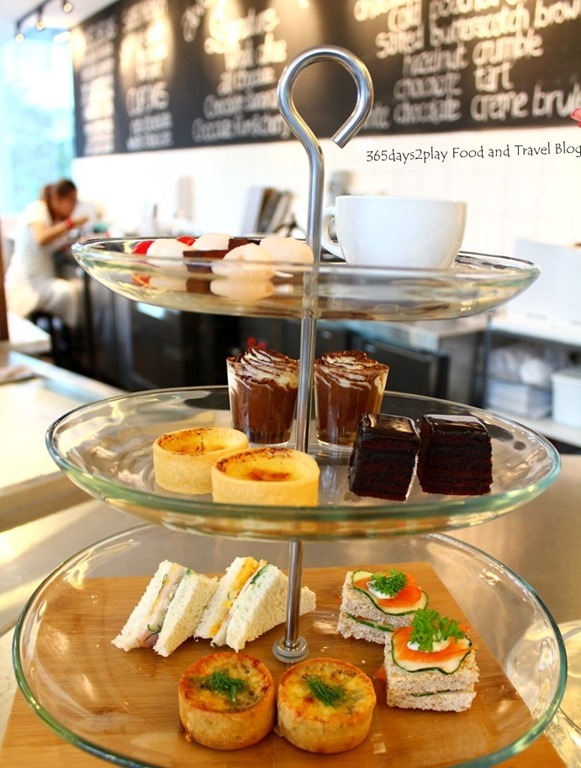 The other great thing about Hyde and Co is that they serve English Afternoon tea! 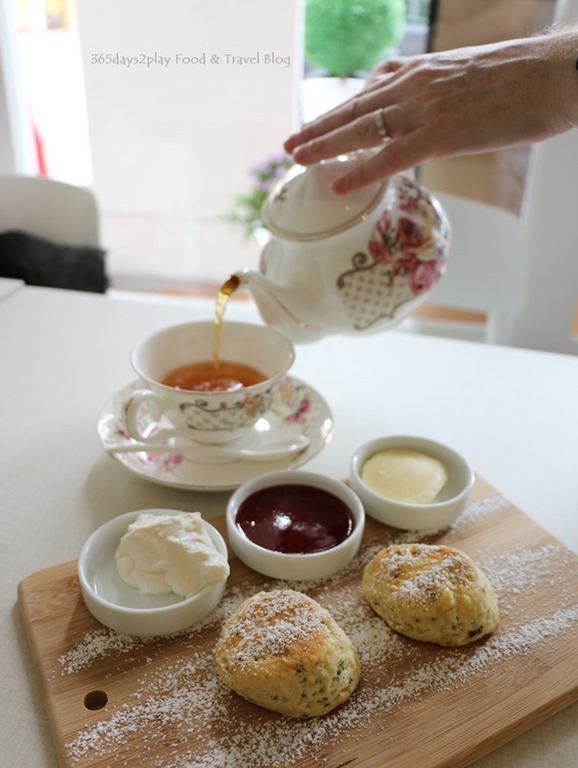 Well it’s not exactly the full range, merely tea served in quaint pots and cups plus scones. But precious few cafes do this, so for now, Hyde and Co is high up on my list of must re-visit again cafes! Cup of tea to go along with the Earl Grey scones, madame? Awfully Chocolate is a household name when it comes to chocolate cakes. 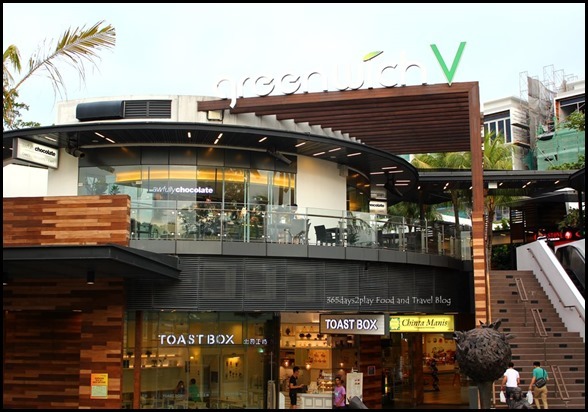 They started out as a hole in the wall shop in Katong Mall, retailing just 3 flavours of chocolate cakes. Sales boomed like mad, probably because the chocolate cakes on offer at Awfully Chocolate were more cake than cream, unlike its counterparts in the market at that time. Fast forward to today and the Awfully Chocolate Group has expanded into an awfully lot of F&B areas, ranging from small cafes like the one I’m going to review in this post, to full brunch and dinner places like Nine Thirty (previously known as Mooshi Bakes) to even an old-school coffeeshop styled coffee shop called Sinpopo Brand. I really didn’t like Sinpopo Brand when I tried it a couple of months back, but when I walked past Sinpopo yesterday on a Saturday night, it was packed to the gills. I’ve been tracking the growth of Awfully Chocolate over the years because many of their concepts are situated at Joo Chiat and I live near there. 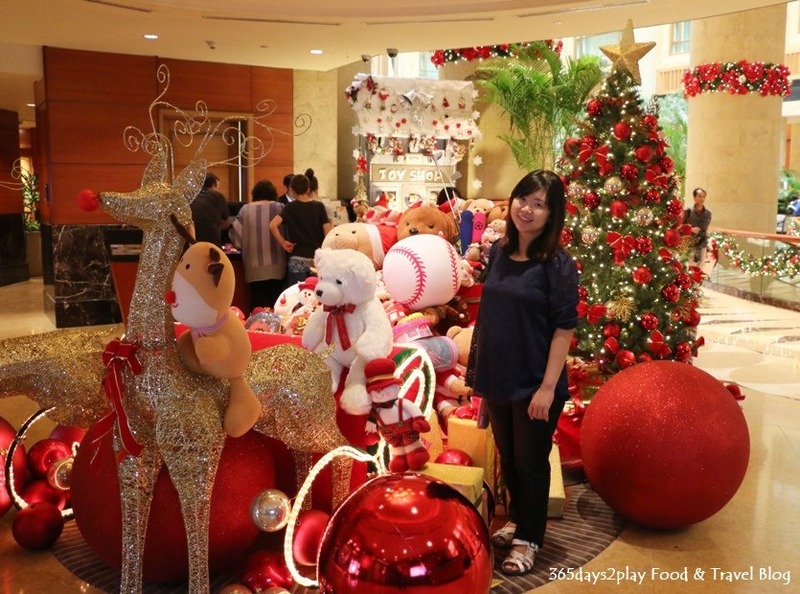 It’s no wonder Lynn Lee, the owner of Awfully Chocolate is dubbed the queen of Joo Chiat! 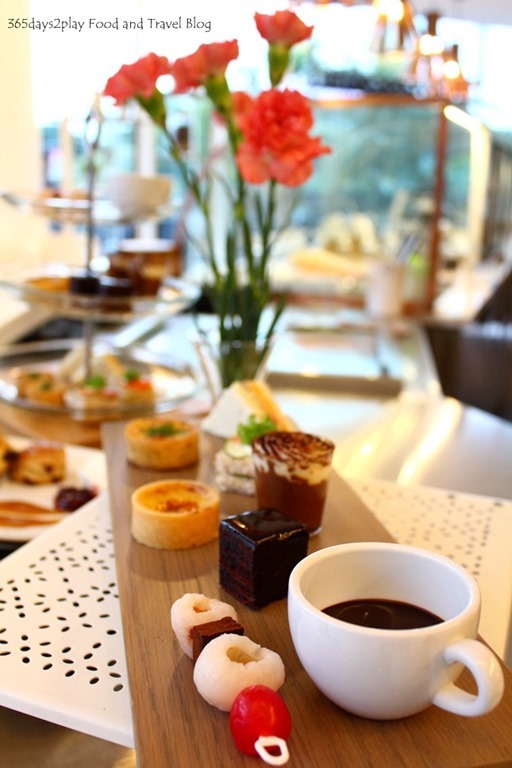 Anyway, I was kindly invited by Awfully Chocolate to try out their new Afternoon Tea set that they had just rolled out. 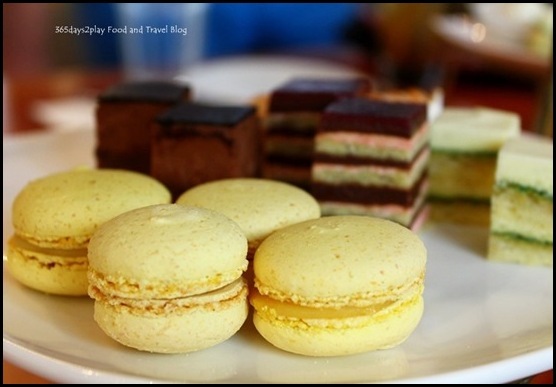 The tasting was to be held at the Awfully Chocolate Greenwich V branch in Seletar. A cross country travel for me to be frank, but I am familiar with Greenwich V Mall after having participated in an amazing race kind of contest there last year. It’s really a quiet and relaxed mall far away from the hustle and bustle of everyday life, especially since it’s mostly landed property nearby. My colleague who lives in Sengkang likes to visit Greenwich V every other weekend or so just to chill. I must admit the bus ride to Greenwich V, although tiring, was interesting because it let me experience a part of Singapore that looks a little set back in time. 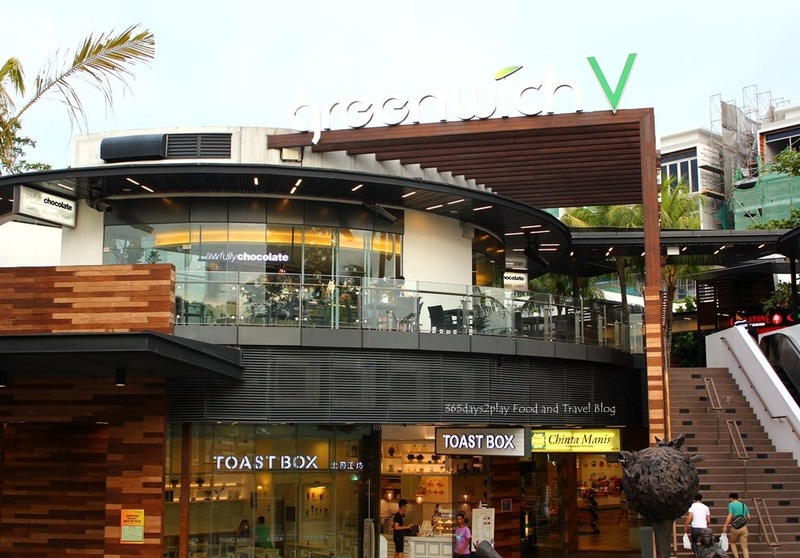 Welcome to Greenwich V, a chill out mall in Seletar! Awfully Chocolate is on the upper level of the mall. 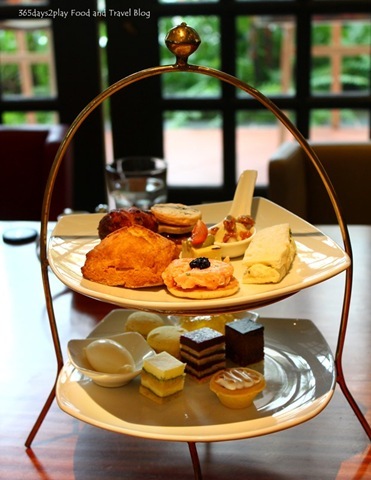 This is the tea set, which includes a choice of house coffee or artisanal teas, as well as a selection of savoury and sweet bites. 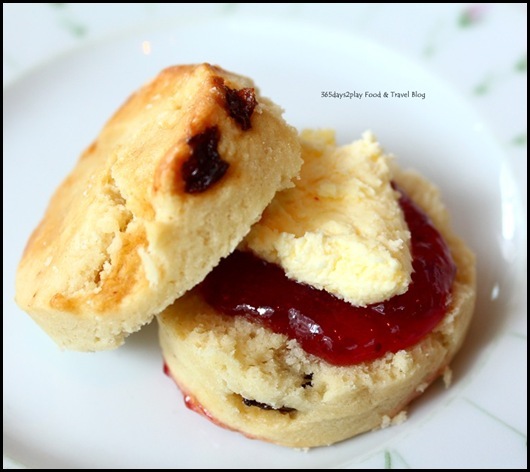 Also includes scones pictured below. $20 for 1 pax or $36 for 2 pax. This set shown here is the serving for 2 pax. The skewer is of frozen lychees and a small square of the famous Awfully Chocolate chocolate truffle. You are supposed to dip it into the cup of chocolate sauce. I didn’t though because it was serious chocolate overload for me by the time I reached the frozen lychee skewer. This set pictured here is the serving for 1 pax. 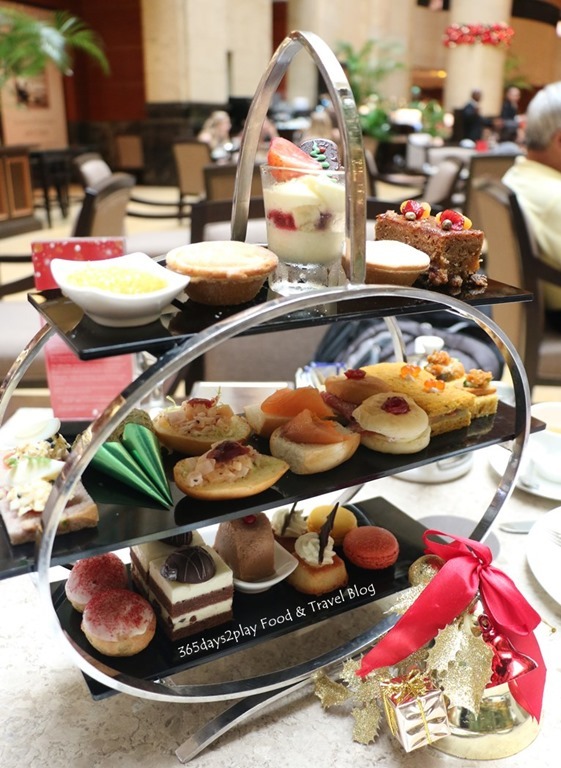 I am on a quest to try out all the afternoon teas available in Singapore to recommend you my favourites! After my visit to Ritz Carlton Chihuly Lounge’s Afternoon tea last month (the 3rd time I’d visited Ritz Carlton actually), the next stop was to naturally be reacquainted with the Rose Verandah. The Rose Verandah is like the grand old dame of Afternoon teas. 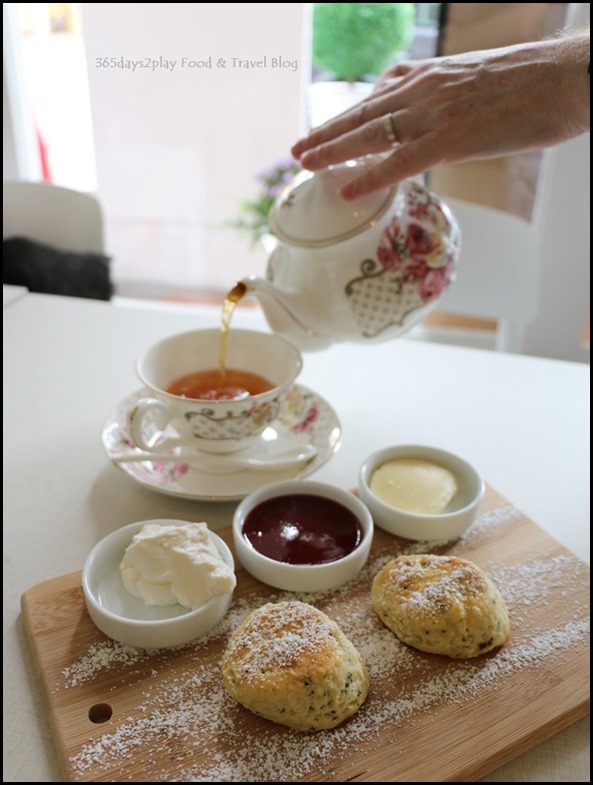 Back in 2005 when I first started enjoying afternoon teas, the Rose Verandah would be my go to location. 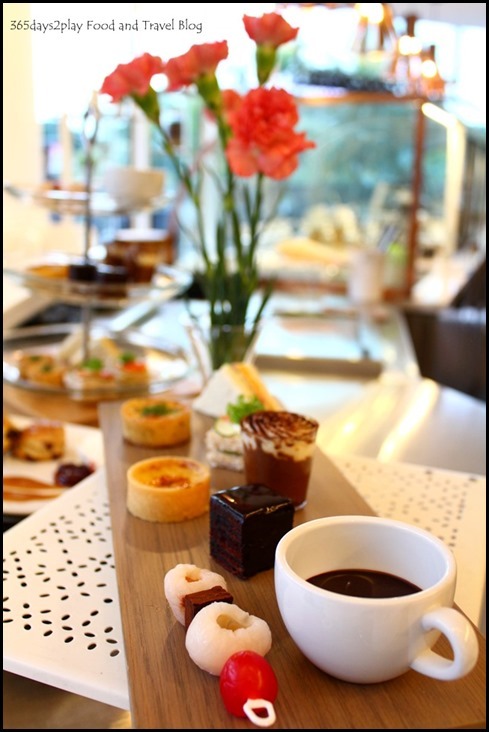 The afternoon tea has been available for as long as I know, and Japanese ladies of leisure love coming here to socialise over nibbles. You’ll be able to catch them in action especially if you come on the weekdays. 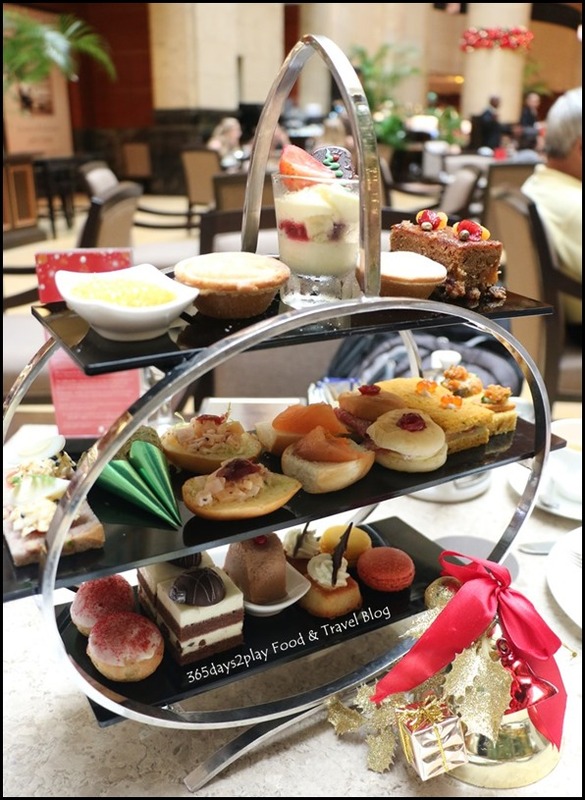 In fact, it’s more economical to come on weekdays because the afternoon tea hours are extended, there being just 1 sitting instead of split into 2 on the weekends. The Rose Verandah used to boast their 101 tea selection, quite a mind boggling number I must say. But guess what, it’s now morphed into 164 teas! 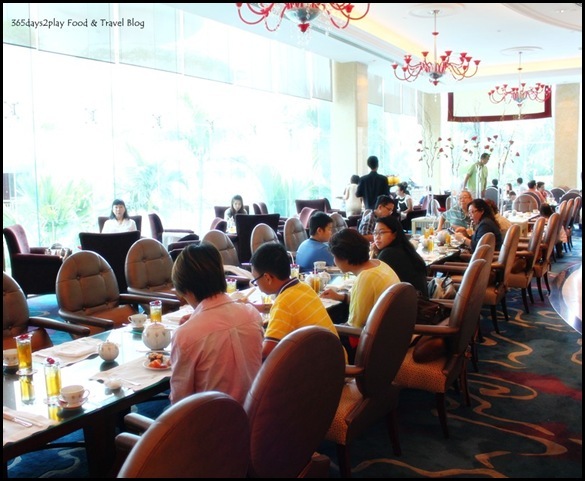 For the price of your buffet, you can have free flow of 1 type of tea. 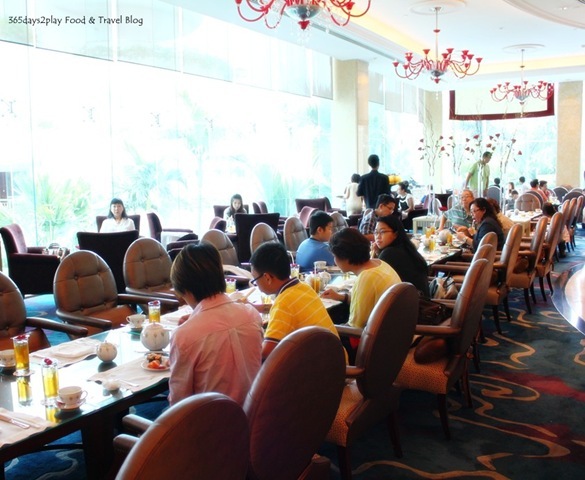 Should you wish to have another type of tea, it will be an additional charge of $7.50. The trick is to just order one pot of tea first between you and your dining companion. You can then change the tea to something else halfway through the meal. 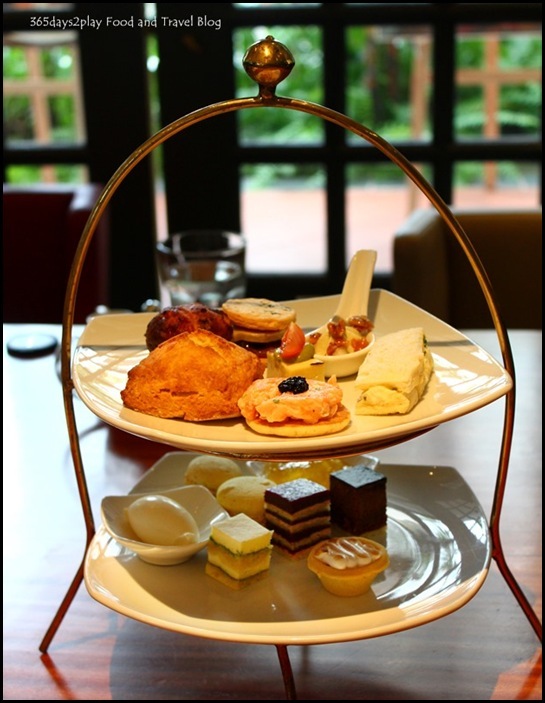 Although there are so many teas to choose from, which gives the impression that the Rose Verandah is an “English” Afternoon tea type of place, the spread is actually very international. There is also a good emphasis on local delights, so you can actually customise your own mee siam at the mee siam station, have har gow and siew mai, and even tuck into cooked dishes such as curry chicken and Asian duck. 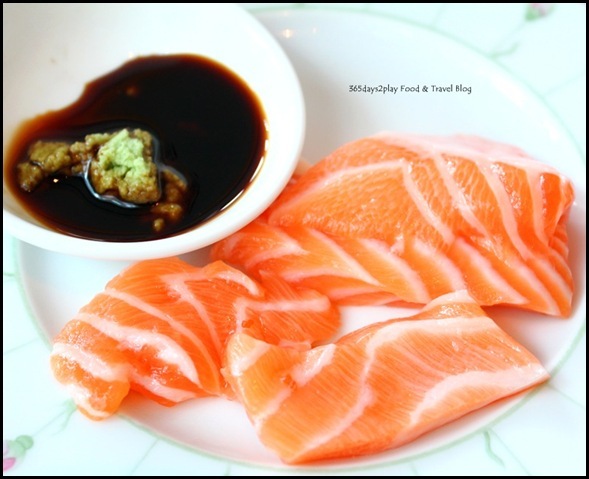 Salmon sashimi, my favourite! There are a few sushi types to choose from too, but I only had eyes for the salmon. Someone came around with bowls of soup so we got one for ourselves.